I was going to go off on a rant about how, last time we checked, the battle at the sharp end of Formula 1 was between Mercedes and Ferrari, not the CIA and KGB, so why so secretive about the technology within those vastly-expensive, always-hidden, turbo-hybrid power units? And if a manufacturer’s ultimate reason to race is to elevate its brand and sell more cars (which it is), why wouldn’t it want to tell its story and showcase its superior bells and whistles? 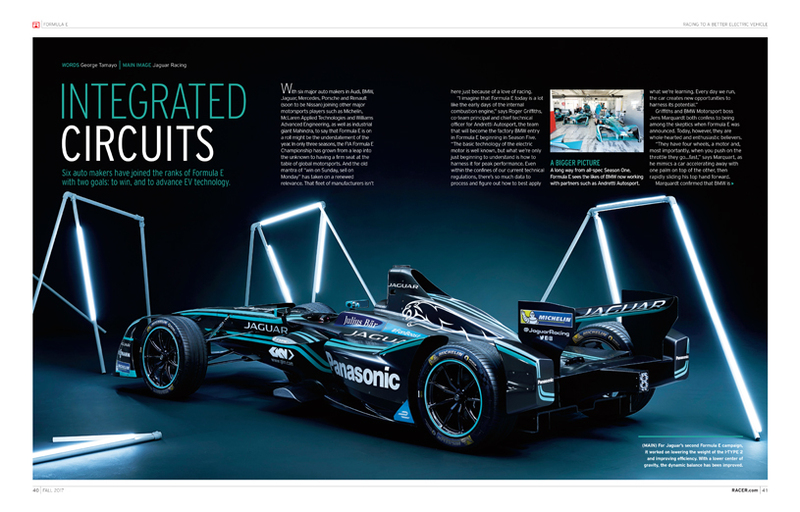 Fact is, the technology being incubated and accelerated in the current-gen F1 power units (and, before it budget-spiraled itself out of the game, in the WEC’s LMP1 class), as well as in all-electric Formula E, can be genuinely relevant to real-world challenges. But in terms of “Wow!” factor, maybe it’s just too esoteric a story to tell? It’s a conundrum that F1 finds itself in as it frames its new-for-2021 power units. On the one hand it has to throw a big enough relevancy bone to its existing manufacturers; on the other, it knows its needs to bring back the noise and fury to re-ignite a fan base underwhelmed by the current-spec cars – which, of course, needs the buy-in of those manufacturers. When it comes to getting manufacturers to act for the greater good, perhaps F1 could take a page from the Verizon IndyCar Series’ playbook? For 2018, the costly manufacturer aero kit era is at an end, replaced by standard kits conceived as much for looks as performance. Sure, it removes a platform for Honda and Chevy to showcase tech prowess, and writes off untold R&D millions invested, but both agree with the bigger-picture aims of enhancing the on-track product and, crucially, making the series cost-effective enough to lure a third manufacturer.